In a nutshell, this is the main idea of a very interesting article published recently by Marketing Week. This piece, among others, makes marketers in the retail space attentive to the versatility of digital signage in the multi- channel age. The context: ‘’The store has historically been a uniform experience delivered to many…What’s happening now, and next, is that varied shopping experiences are collapsing into one as the channels that defined them blur.’’ (Nigel Vaz, European MD of SapientNitro, Marketing Magazine, January 2013, page 43). Conclusion: shopping is no longer a linear experience and the store is set to deliver more personalised services. While the tone of the article is quite futuristic (understandably so given SapientNitro’s profile) Mr. Vaz unveils the potential ways in which digital signage could be used in store in the future by the retailer that will survive this unstable economic climate. And by the way, there are some that predict the collapse of the entire ‘’brick-and-mortar’’ model such as Marc Andresseen, one of Netscape’s co-founders, who envisaged the absolute death of physical retailers in a recent interview. Vaz proposes that story-telling or (‘’storyscaping’’ as he calls it) is the key weapon against this future ‘’mass extinction’’ and acknowledges the potential of digital signage in supporting an interactive, non- linear narrative that is relevant to a person’s chosen location and time. ‘’A display can ‘’storyscape’’ to a certain degree- providing information and entertainment… in a way that is relevant to the individual consumer and in proximity to the physical product’’ he explains. While Andreessen predicts the end of the physical store, Vaz imagines ‘’the store of the future’’ where each consumer is targeted with information based on his/her personal characteristics and to his/her specific location in the store. When this becomes a reality- he continues- ‘’the gap’’ between the uniform, ‘’one size fits all’’ store experience and the more personalised but isolated online one will be closed and the consumer will be offered a truly consistent shopping experience across all channels. Of course, for this to happen, a lot of data is needed along with the technology to detect and track motion that comes with its costs, but we think that Vaz is on to something there and his vision of ‘’the store of the future’’ has chances of being fulfilled. And while one can argue that more expenses is the last thing retailers need in a time when consumers don’t put their hands in their pockets as easily as before- we believe that sometimes, to gain more you need to spend more. And if the physical store is to stay open (and make a profit) then it must be connected to whatever channels the consumers choose to use to communicate (the mobile, social media, etc). That is one of the reasons why the digital signage industry embraced the HTML5 and we too have packaged it into our software– to allow brands to create ‘’bridges’’ between the in-store digital displays and their online presence. Vaz wraps it up nicely predicting that ‘’stores are poised to make a comeback in a huge, digitally convergent way.’’ So be it! Take the first step in revolutionising your stores. 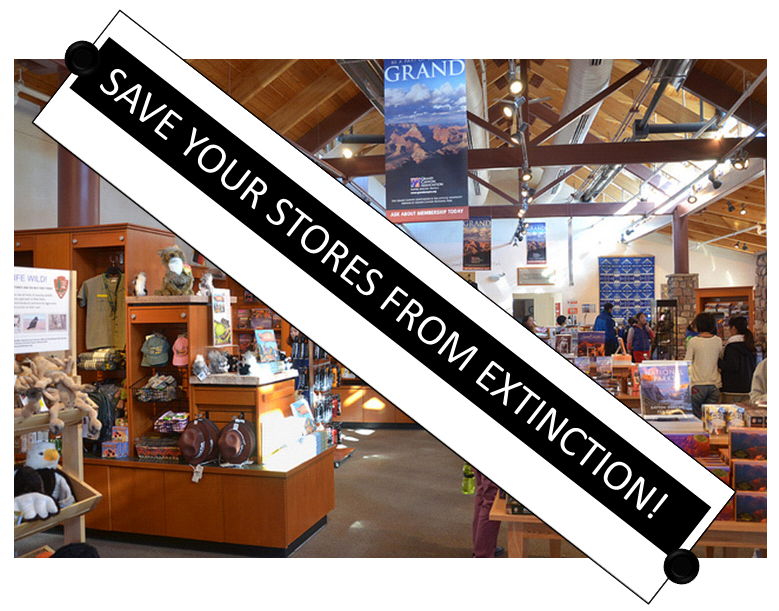 Download our white paper and discover the basics of digital signage and how it can help your store survive. 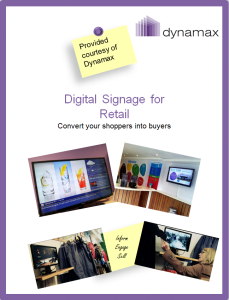 See how our cloud- based digital signage software is being used in the retail space. Check out our case- studies. This entry was posted in Digital Signage, Marketing and Advertising and tagged advertising, digital signage, retail by Dynamax. Bookmark the permalink.